The Caribbean’s natural bounty is a treasure trove of succulent and mouthwatering tropical fruits, exotic vegetables, and aromatic herbs that are quintessentially used in many restaurants and kitchens around the globe. Have a look at some of the most delicious Caribbean fruits that you should try while visiting St. Kitts and Nevis. Some restaurants in St. Kitts beautifully leverage these tropical fruits in Caribbean curries and some chop them up to prepare healthy fruit salads and delicious sweet recipes. Here are some healthy Caribbean fruits you should try on your next trip to St. Kitts. Noni fruit is a native Caribbean fruit that is a part of the coffee plant family. This ultra-healthy fruit is also known as cheese fruit and has a distinctively pungent aroma and leaves a strong, bitter taste on the tongue coupled with a hint of deep caramel molasses like sweetness. This miraculous fruit boasts innumerable health benefits such as controlling blood sugar and cholesterol levels, helping to erase fatigue, improving kidney health, and filling you up with instant energy. 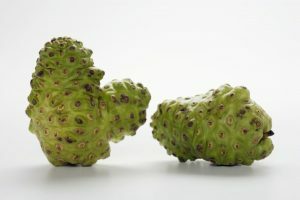 Noni is normally consumed as a fresh juice and is a vital ingredient in many delicious smoothies. Coconuts are simply incredible. You can quench your thirst with a highly rejuvenating cup of coconut water or simply scoop out the delightful flesh as a quick snack. You can also eat it raw once it has fully matured. Coconut oil can also be used as a moisturizer for skin and hair. 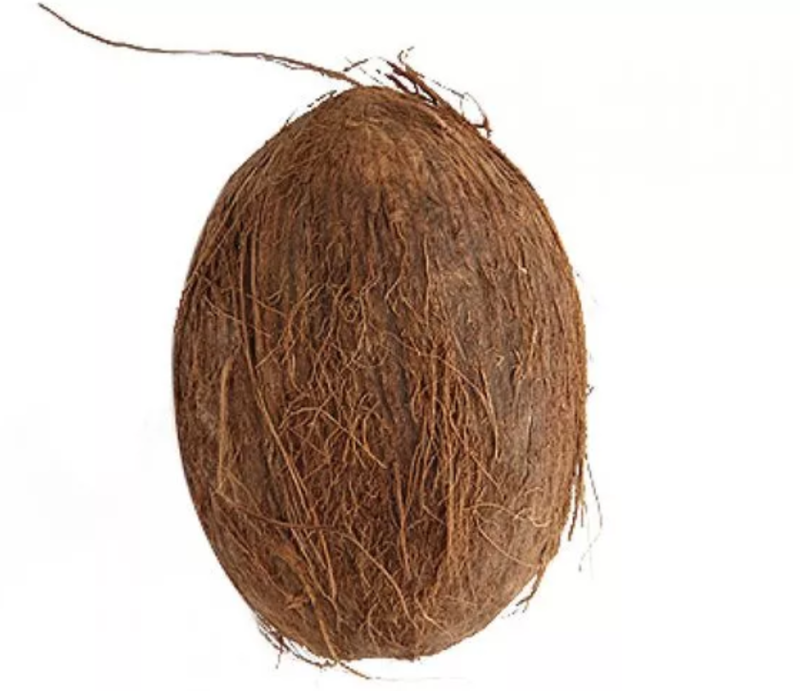 Coconut is widely used to enhance the taste of various Caribbean dishes that you can try in any Indian restaurant in St. Kitts. If truth be told, coconut is considered the heart of Caribbean cuisine and culture. Coconut milk, cream, water, oil, sugar, and flour are all used to create sweet and savory Caribbean cuisines. 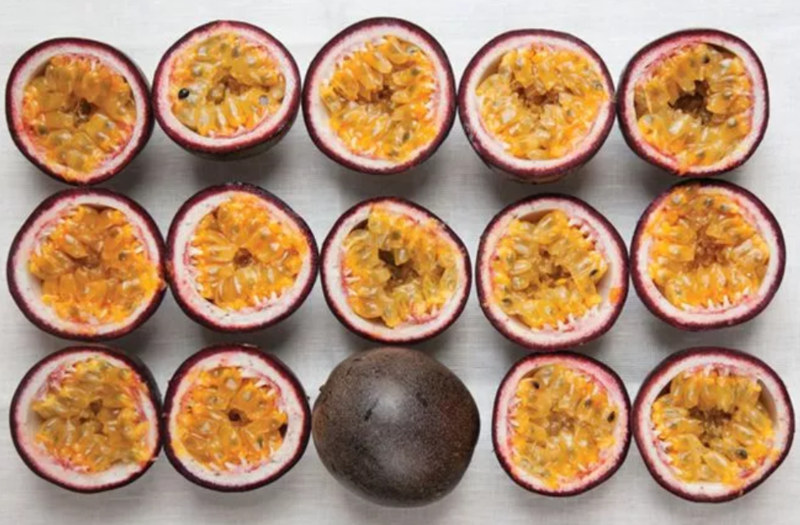 Passion fruit is small and round, bright orange in color, and bursting with a deliciously sweet, seedy pulp. Passion fruit can be used to prepare rejuvenating drinks, smoothies, and desserts. Eat the delicious pulp raw or spoon over yummy vanilla ice cream to add texture and exotic flavor. You can prepare many sweet recipes with passion fruit such as passion fruit coconut bars, passion fruit cheesecake, yogurt cake, passion fruit mojito, passion fruit mousse and a host of others. This spiky fruit is a large, green tropical fruit that has a succulently sweet flesh. 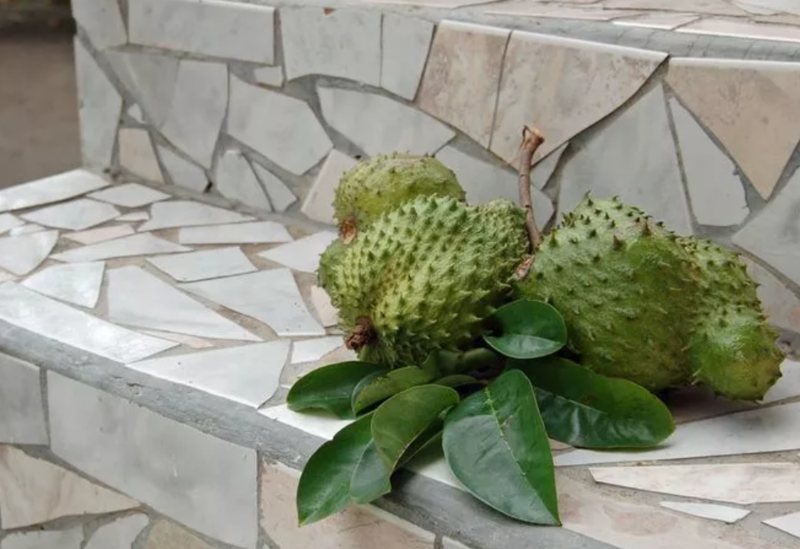 Soursop is used to prepare different beverages, ice-creams, salads, and desserts. Soursop smoothies are simply mouth-watering and refreshing. You should definitely get your fill of soursop cheesecake, soursop margarita, soursop ice cream, soursop juice, and soursop smoothies when you visit St. Kitts. This Caribbean fruit contains many health benefits and can be used to treat many ailments, even curb the growth of Cancer. Plantains often confuse tourists as they bear resemblance to bananas. Whereas bananas can be eaten raw and have a sweet taste, plantains can be eaten in many forms – boiled, fried, baked, or even grilled. Plantains are used in many Caribbean dishes such as plantain lasagna, plantain hamburger, plantain ceviche, plantain fritters, or plantain empanadas, to name a few. Starfruit, also known as Carambola, is a yellow exotic fruit that has a distinctive sweet and sour taste. This tropical fruit is packed with fiber and vitamins. The most exciting thing about this food is its star-shaped appearance when it is cut horizontally. 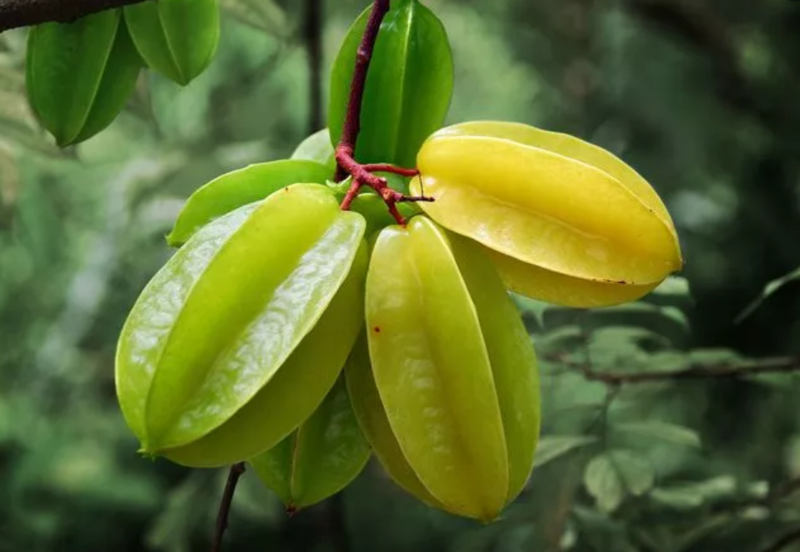 The skin of the starfruit is thin and waxy, while its translucent yellow flesh is squashed up to prepare delicious, fragrant juices. You’ll love the star-shaped slices which can be used frozen as alluring cocktail decorations. Starfruit is used to prepare exotic salads, refreshing juices, and the mouth-watering starfruit upside-down cake. 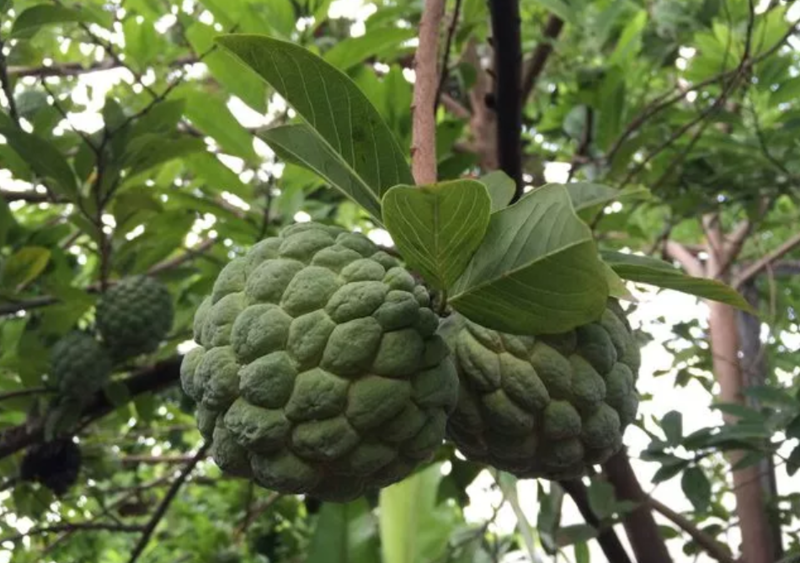 Sugar apple, also known as Custard Apple, is one of the most famous fruits found in St. Kitts. The fruit is extremely sweet, tastes like a blend of bananas and pineapples, and has a custard-like consistency that people love to relish. The fruit can be eaten raw or used in a myriad ways. For instance, you can make sugar apple jelly, smoothies, sauces, shakes, fruit coleslaw or simply consume them toasted at your next camping expedition. Another fruit that is a gem of St. Kitts is Mamey Sapote, a large, brown colored fruit, shaped roughly like a mango. 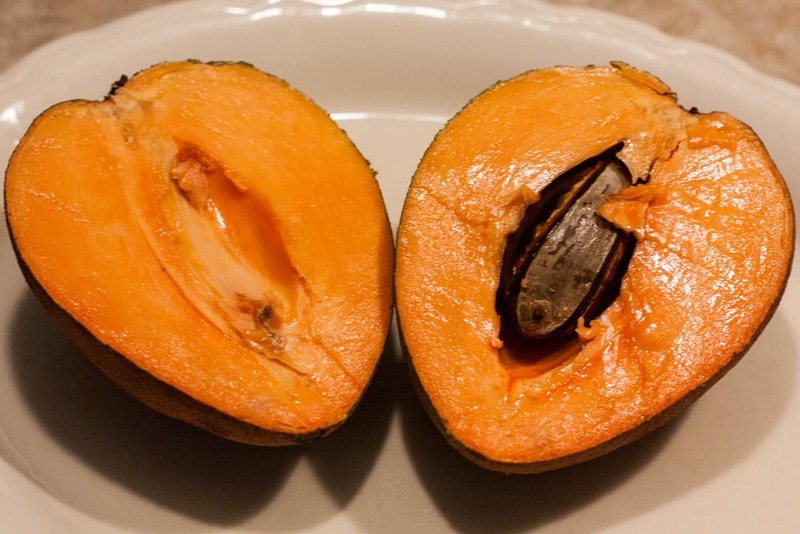 It has a fuzzy appearance, with a dense, nutrient-rich flesh that is replete with fiber and vitamin B. Mamey sapote tastes like baked sweet potato due to their smooth and creamy texture. Mamey sapote can be used across a wide array of delicious recipes such as milkshakes, smoothies, ice creams, cupcakes, mousses, and jams. The island of St. Kitts has a repertoire of exotic and succulent fruits, including gooseberries, guava, ackee, jackfruit, green bananas, cherimoya, chayote, breadfruit, genips, sour orange, and ugli fruit. The above-listed ones are the most delicious and nutritious Caribbean fruits that you should definitely give a try. Visit any restaurant in St. Kitts to try delicious smoothies, salads and shakes prepared with the help of these nutrient-rich and flavorful Caribbean fruits.